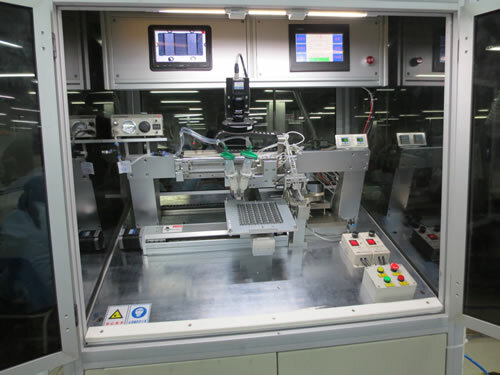 This machine is used to glue and assemble spacer film on core for changing inductance. It works smoothly, precisely controls of dispensing amount and length, high precision assembly. ◆CNC control board, industrial PC or PLC, with interface OEE system. ◆Servomotor controlled by CDD system brings precise assembles. ◆Automatically gluing，the amount and length can be adjusted. ◆Auto unloading finished material and goes to next cycle.